Concurrent to these developments in Delhi, Sheikh Abdullah sent Bakshi Ghulam Mohammed and GM Sadiq to Pakistan to meet Mr. Jinnah and/or Mr.Liaqat Ali Khan. News of the Pakistan sponsored Qabali invasion reached Delhi on 24 October via two channels. Generals Auchinleck and Lochhart were informed by the officiating C-in-C of the Pakistan Army, General Gracey, and by the evening, the second input came through Mr. R L Batra, the Deputy Prime Minister of Kashmir, who had flown to Delhi with an urgent request from the Maharaja. His mission requesting for immediate help also conveyed the willingness of the Maharaja to accede to India to save his state from the ‘Marauders’ as he dubbed the Qabalis, who by then had already ravaged Uri and had the same state was feared for Baramulla. 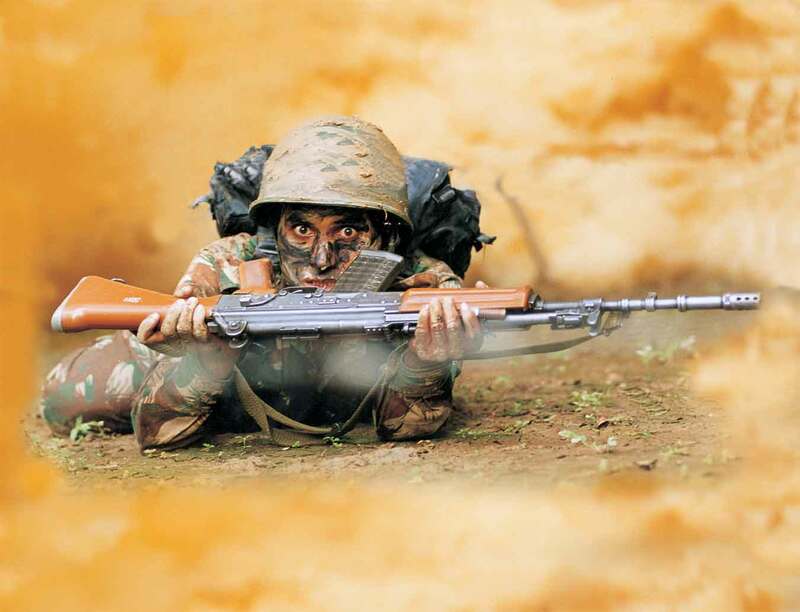 Oct 27 is celebrated as ‘Infantry Day’ in the Indian Army. 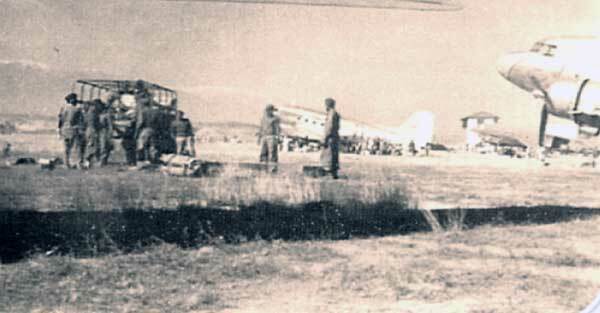 On this day, Indian troops were air lifted from Delhi and landed at Srinagar to protect the airfield and save the town of Srinagar from falling into the hands of raiders. Pakistan had let loose the tribal hordes along with it’s military personnel to capture the valley and then later the whole of J and K. Indian Government for various reasons delayed the dispatch of troops to J and K and the information regarding the location of raiders was scanty. The status of the airfield at Srinagar was not clear and the possibility of it having already fallen to the raiders was very much on the cards. As in the case of the US, for India too, satellite data and its associated connectivity touch every aspect of daily life. As India’s space programme blooms in keeping with ISRO’s Space Vision 2025, its contribution to the national economy will grow from its already impressive levels. 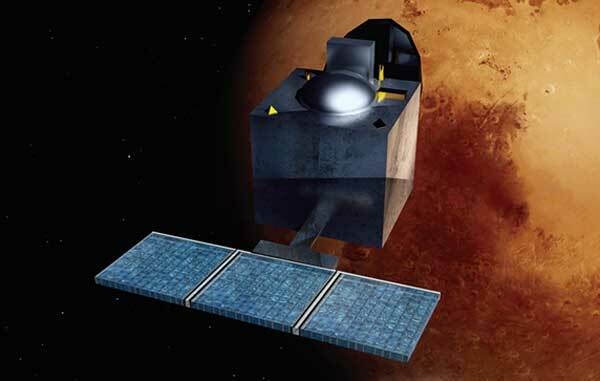 The continued wellbeing of India’s space assets including ground stations as well as space-based assets, assumes grave importance in this light. There is also the concern for continued ability to exploit space for non-military purposes. Perhaps it is time to focus on the vulnerabilities of our space assets and the conceivable threats that they may face in the future. A deliberate approach to this aspect would then help strengthen a national space security policy. Big Changes in the People’s Liberation Army? A few weeks ago, The South China Morning Post had reported the possibility of sweeping reforms in the People’s Liberation Army (PLA). One of these changes could be the phasing out of Soviet-style command structures which would be replaced by a US-style model. the Hong Kong daily had further mentioned that the PLA’s seven Military Areas Command (MAC) could be merged into four only. Till now, this was speculations only. But this week, a Chinese military newspaper has openly called for the PLA to learn from the joint command system used by the US. On October 15, 2015, the Thein Sein led-government of Myanmar and eight ethnic organisations signed the final version of a Nationwide Ceasefire Agreement (NCA) which was under negotiation since August 2011. 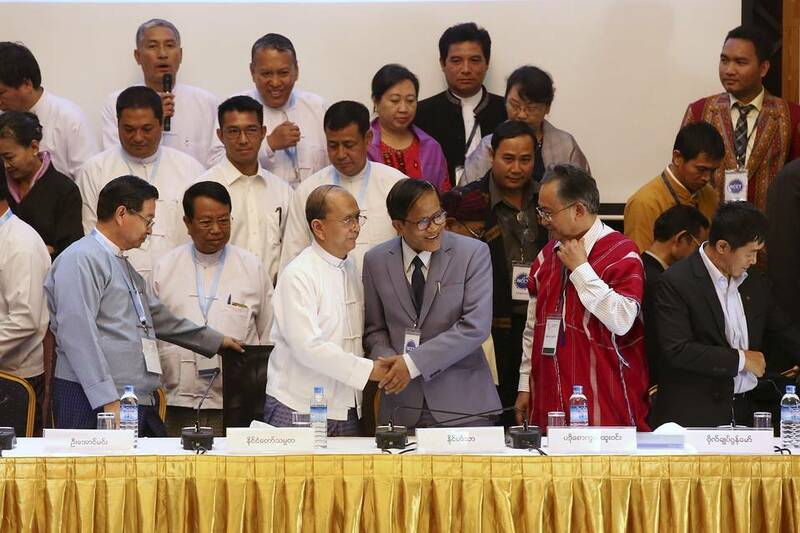 This agreement has been seen as a momentous achievement for Thein Sein ahead of the November polls. During the military rule in Myanmar there had not been any such collective agreement struck with the ethnic armed groups, making the NCA the first of its kind. Several international actors, including India, China, the European Union, the US, Australia were involved in the process, both diplomatically and monetarily. The international community has been keen to engage the Thein Sein government in order to enable it in its transition to democracy. Representatives from the United Nations, the European Union, India and China and others witnessed the signing. Lessons learnt from Norway’s successful participation in the Sri Lanka ceasefire initiative with the LTTE in 2002 served as a precursor for the negotiations behind the NCA. Much before emerging markets became a fashionable asset class, Mark Mobius, executive chairman of the Templeton Emerging Markets group, was backing them in 1987. Mobius is today one of the world’s most renowned value investors, overseeing over 50 funds across 18 different countries. Catching up with him on a recent flying visit to Chennai, we found him to be quite bullish about the prospects for India, despite recent events that have roiled emerging markets in general. After the recent crash in emerging market stocks, a lot of commentators have said that the emerging markets (EM) story is unravelling. But you’ve taken a positive view of EMs even after the recent declines. Can you explain why? If you look at equity market activity around the world in the last 10 years, the emerging markets have outperformed the US market as well as the global markets in seven of those 10 years. Yes, it is true that in the last few years we’ve seen underperformance by emerging markets. But emerging markets have begun to offer value after their recent falls and many global investors are beginning to recognise that. 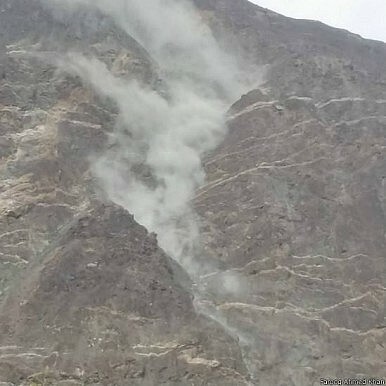 On Monday, an earthquake measuring 7.5 on the moment magnitude scale struck the northeastern Afghan province of Badakhstan, near the remote Hindu Kush mountain range that runs between Afghanistan and Pakistan. According to theAssociated Press, as of early Tuesday morning, at least 263 people are confirmed to have been killed while hundreds more have been injured. The earthquake is the second major quake to strike the Himalayanregion this year after a 7.8 magnitude earthquake devastated Nepal in April. Though the epicenter of the earthquake was in Afghanistan, most confirmed fatalities so far are in Pakistan. Afghan casualties may be underreported at this point, however. Pakistani authorities have confirmed more than 200 dead and over 1,000 injured. Meanwhile, Afghan officials have confirmed just 33 dead and more than 200 injured. Two deaths have also been reported in the Indian state of Jammu and Kashmir. The earthquake was felt as far as the Indian capital of New Delhi. 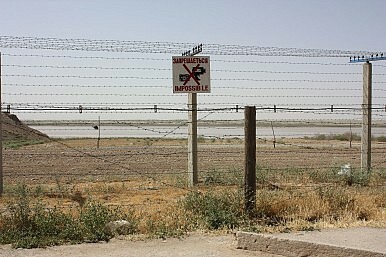 Mere weeks after chastising Kazakh President Nursultan Nazarbayev for mentioning his concern about “incidents” along the Turkmen-Afghan border, Ashgabat is allegedly in contact with Afghan forces who say they chased a few dozen Taliban militants onto an island in Amu Darya, which separates Afghanistan from Turkmenistan. Mohamed Zeeshan is a policy analyst based in Bangalore, India. He also writes for The Diplomat. Pakistan’s Prime Minister Nawaz Sharif travelled to Washington last week for a bilateral visit packed with significance. Washington’s relationship with Islamabad has been the topic of much talk in America lately, following the breakdown of Pakistan-sponsored talks with the Taliban and the subsequent fall of the Afghan town of Kunduz to militants late last month. And despite rumors about a possible India-style nuclear deal between the United States and Pakistan, pressure was mounting on President Obama to take up Pakistan’s disreputable record on counter-terrorism, human rights and nuclear proliferation with Sharif. Arguing against a nuclear deal with Pakistan, South Asia scholar Daniel Markey noted in The Diplomat that “there is simply no time for a nuclear deal”, pushing American diplomats instead to address “Pakistan’s bad behavior on other fronts” more urgently. Another column in Foreign Policyput things more bluntly, asserting that the “central problem confronting the United States in the region is no longer al Qaeda or the Taliban”, but rather the Pakistan Army. Indonesia’s President Joko Widodo makes his first visit to Washington for a summit meeting with President Obama in less-than-auspicious circumstances. The honeymoon period that ushered Jakarta governor “Jokowi” (as he is popularly known) to the highest office of Southeast Asia’s largest country has long since worn off. One year into his five-year term, Jokowi has still failed to flesh out a clear vision for his foreign and defense policies. His “global maritime fulcrum” vision of redirecting attention and resources toward Indonesia’s maritime domain comes close, but comprises mostly domestic policies and lacks an overarching strategy. 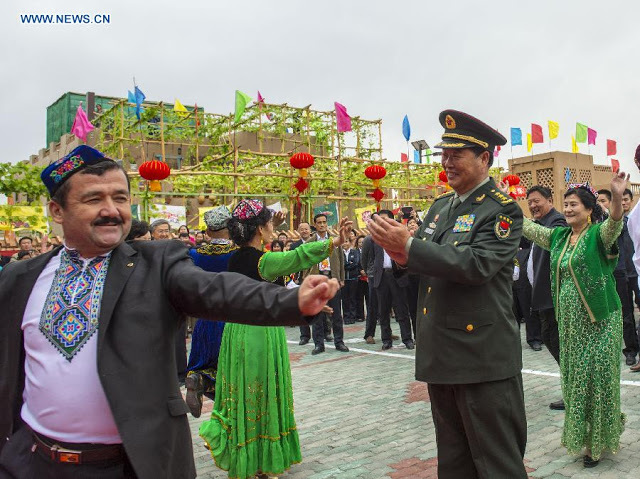 Despite strong U.S. interest in creating a long-term roadmap for bilateral security relations, there has been a disappointing lack of leadership out of the not-so-new government. The absence of more substantial progress in strengthening U.S. cooperation with Indonesia shows some of the limits of security assistance and the U.S. rebalance to Asia: namely, that both depend heavily on effective allies and partners. During his intimate retreat with President Barack Obama back in 2013, Chinese President Xi Jinping boldly claimed, “The vast Pacific Ocean has enough space for two large countries like the United States and China.” Reinforcing lingering suspicions that he was perhaps calling for a Sino-American co-dominion in the Pacific theater, the Chinese leader proposed a “new model of great power relations,” where Washington and Beijing will effectively treat each other as peers with respective zones of influence in the area. To be fair, Xi’s proposal for a new regional order—what I have called Pax Chimerica—was based on an earlier joint statement between the Hu Jintao administration in China and the newly-installed Obama administration, which has framed Sino-American relations as “the most important bilateral relationship in the world.” The November 2009 joint statement between the two powers quite controversially stated, “The two sides agreed that respecting each other’s core interests is extremely important to ensure steady progress in U.S.-China relations.” For Beijing, one of those “core interests” is safeguarding China’s territorial integrity and sovereignty claims, which have progressively expanded from peripheral restive regions such as Tibet and Xinjiang to Taiwan and, in more recent years, much of the South China Sea. Early Tuesday morning, the U.S. Navy confirmed that the USS Lassen, an Arleigh Burke-class guided missile destroyer, had completed the first in a series of planned freedom of navigation operations (FONOPs) in the South China Sea. The operation is the strongest assertion yet by the U.S. Navy that it rejects any maritime claims for Chinese features that were submerged at low-tide in their original, pre-land reclamation state. The FONOP does not, as some reporting has suggested, directly challenge or contest the sovereignty of specific maritime features in the South China Sea. The United States continues to take no position on the actual sovereignty of various disputed maritime features in the South China Sea. Based on the reports available at the time of this writing, the U.S. Navy has not specified the exact location or duration of the Lassen‘s passage. 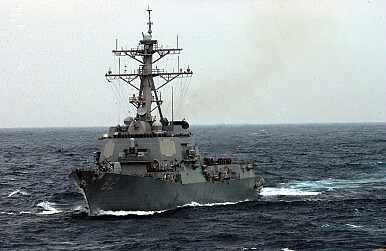 A U.S. defense official confirmed to the Wall Street Journal, however, that the destroyer had “navigated through the waters around at least one of the land masses to which China lays claim within the Spratly chain of islands in the South China Sea.” As I noted earlier, a U.S. official had toldReuters that the only two possible features where the Lassen could have carried out an operation are Subi and Mischief Reefs–two features that are “low-tide elevations” under the United Nations Convention on the Law of the Sea (UNCLOS). 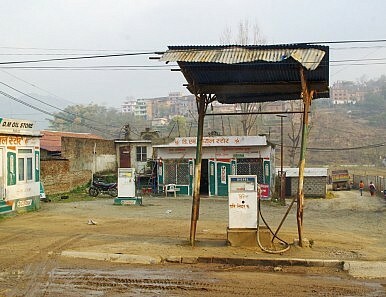 China will supply gasoline to Nepal for the first time ever, in response to a dire fuel shortage caused by disrupted supply lines with India. A Nepal Oil Corporation official announced on Sunday that China would supply 1.3 million liters of gasoline, which would be transported to Kathmandu from the border via 100 tanker trucks. As my colleague Ankit reported previously, crucial supplies from India stopped flowing across the India-Nepal border in mid-September, just after Nepal ratified its new constitution. The Madhesi and Tharu ethnic groups are protesting against the constitution, saying it will leave them underrepresented in Nepal’s government. India has urged Kathmandu to address their concerns. In that context, many Nepalis see the halt of border trade as an unofficial blockade designed to pressure Nepal into changing its constitution. The announcement of a major Russian surge in its support for Syria still has Washington reeling. Combined with the announcement that Russia, Iraq, and Iran have entered an agreement to enhance intelligence-sharing to combat the self-proclaimed Islamic State, this confluence of events raised blood pressures among the Western press. Looking at these developments from a strategic standpoint, they may really be a blessing in disguise for U.S. foreign policy. Faced with overt challenges in the form of an aggressive Russia, combined with the chaos surrounding a disintegrating Syria and a functionally dismembered Iraq, the United States is watching its problems run headlong into each other. The Russian adventure in Syria is much more ambitious and fraught with peril than their subversion and occupation of Ukrainian territory. Given the distance from home and the ever-changing conditions in Syria, Russian involvement should be welcomed as a way for Russia to let off steam without running into a vital U.S. interest. We remain a distant power that is executing a de facto containment strategy against the Islamic State using airpower while the Russians are deploying troops, armor, and aviation to back up the Syrian regime, complementing the Iranian proxy forces in Iraq. This offers an attractive option for jihadist organizations in Syria and Iraq to back off their fratricidal conflict while they have genuine foreigners to fight. For the United States, this presents an opportunity to tie down the Russians and force them to divert resources from Europe, while avoiding a radical upending of the existing balance of power in the Middle East. We can let the Russians bleed in Syria on behalf of the regime while we execute a containment strategy. This Sunday, the United States blocked the sale of 12 T-50 Golden Eagles from Korea Aerospace Industries (KAI) to Uzbekistan the Korea Times reports. The jets, jointly developed by KAI and Lockheed Martin in 2006, are designed as supersonic trainers and multirole fighters. 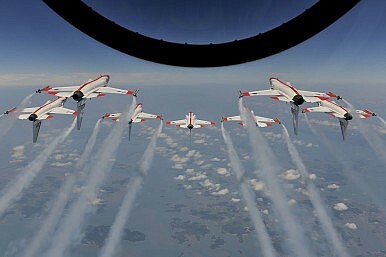 Lockheed Martin promotes them as delivering “the fighter-like performance and capabilities needed to eliminate 5th Generation training gaps and inefficiencies.” Although the T-50 and its variants are Korea’s first indigenous supersonic aircraft, the jets use Lockheed Martin’s avionics system and engines, making their sale a matter of U.S. concern. Although Lockheed Martin’s advertising material proclaim that the T-50 was “envisioned to be exported to other countries” it seems Uzbekistan doesn’t quite measure up. Interactions between the two governments on the Iranian issue are not an exercise of persuasion-resistance and subsequent compliance but rather are an involved bilateral process. In the last decade India has firmly maintained its opposition to unilateral sanctions on several occasions. Recently, however, when White House Press Secretary Josh Earnest acknowledged India’s “substantial sacrifice” in implementing US sanctions against Iran, New Delhi’s resistance to unilateral sanctions appeared shallow. India’s opposition as well as contended support to the sanctions cannot be understood without taking into account Washington’s efforts to garner New Delhi’s cooperation. Interactions between the two governments on the Iranian issue are not an exercise of persuasion-resistance and subsequent compliance, as media reports seemingly suggest. They are indicative of an involved bilateral process whereby a responsive New Delhi adapted to US-led sanctions regime, and in turn Washington accommodated Indian interests. Prime Minister Narendra Modi might have promised to “reboot and reorient the foreign policy goals, content and process” through Bharatiya Janata Party’s (BJP) 2014 election manifesto. However, as far as the Modi led National Democratic Alliance’s (NDA) official stand on sanctions is concerned, the government has maintained its predecessor’s position. Arguing that New Delhi does not support “economic sanctions that do not have the approval of the United Nations Security Council,” India has extended its sympathy to other countries facing sanctions as well. Nonetheless, during the reign of both, the UPA and NDA governments, New Delhi did not cease to adapt to geopolitical changes and conformed to international obligations. In the context of Iran, India remained flexible and the US amenable. Washington returned New Delhi’s gestures by adjusting the sanctions regime that it had itself conceptualized and implemented. At this point, it is worthwhile to view the subject from a unique vantage point by taking a look at the Indian experience with US sanctions on Iran. In its earliest years the U.S. Navy was badly outnumbered by the British Royal Navy. Under the duress of war, and in order to fill the gap, the United States issued letters of marque and reprisal to ship captains from America’s merchant fleet, authorizing them to seize enemy ships and keep such vessels and their cargos as prizes. As a result, during theRevolution and War of 1812, 2,300 Yankee privateers captured, damaged or destroyed as many as 2,600 British ships. Today, U.S. businesses should similarly join the fight against the Islamic State. They can do so by suing banks that handle terrorists’ money under antiterrorism and racketeering statutes. Since declaring a caliphate in June 2014, this group of bloodthirsty extremists has been increasingly taking on the trappings and characteristics of a state. One of the main facets of this effort has been gaining access to the international financial system. The Islamic State seized at least 110 bank branches in the Levant that maintain correspondent relationships with global banks. Terrorist fundraisers publicly direct donations to other, identified banks in the Gulf and wider Middle East, and terrorists use such banks to launder hostage ransom payments. Some of these banks are subject to personal jurisdiction in the United States and hold substantial assets here. Russia’s pace of air operations in Syria appears to have dropped off slightly from their peak in recent days. While the Russians had flown as many as eighty-eight sorties per day about two weeks ago, more recently that number has dropped off as many U.S. defense officials had predicted. That means that the Russians have been flying an average of fifty-five sorties per day with their mix of Sukhoi Su-24s, Su-25s, Su-30SM and Su-34s—which is a slower pace than before. But those figures are within the range Pentagon officials had predicted the Russians could fly with the number of jets they have deployed. The Russians are thought to have between thirty-two and thirty-six aircraft at their base in Latakia, which means they could generate with between forty-eight and ninety-six sorties per day with good logistics. The Chief of Naval Operations, John Richardson, winged his way to Newport around the beginning of the month to discuss maritime strategy with the Naval War College (NWC) teaching and research faculty and generally hobnob with students, staff and faculty. Which is fitting: the Navy’s top uniformed officer should tarry at its intellectual seat from time to time—gleaning such strategic and operational insight as we ivory-tower dwellers alongside the Narragansett Bay can supply. While delivering prepared remarks in NWC’s Spruance Auditorium, Admiral Richardson returned to a theme he enunciated as commencement speaker in 2013: that the college has undergone three intellectual revolutions since its inception in 1884. What’s more, Richardson maintains that a fourth revolution is gathering as the navy’s and nation’s post–Cold War strategic holiday expires. If so, what’s to be learned from bygone revolutions? Can insights from past controversies help the leadership hasten the coming of—or at least avoid stifling—another novus ordo seclorum? Indonesia: home to over 250 million people and the world’s third-largest democracy. At the geopolitical nexus of the Indian and Pacific Oceans, and with territory protruding into the South China Sea, this titan demands U.S. attention more than ever. President Joko Widodo’s October 25-28 state visit presents a prime opportunity to renew emphasis on the U.S.-Indonesia partnership. In particular, Widodo’s initiative to transform Indonesia into a “Global Maritime Fulcrum” (Poros Maritim Dunia) provides an ideal avenue for Washington to elevate the U.S.-Indonesia “comprehensive partnership” to a “comprehensive strategic partnership.” This terminology, as recently proposed by a leading American expert on contemporary Indonesia, would mirror the “comprehensive strategic partnership” between Indonesia and China, as well as indicate the strategic gravity of U.S.-Indonesia relations. Cyber technology offers emancipatory possibilities. It also allows coercive regimes to intrude into people's privacy. The shape the internet takes will hinge, to a great extent, on how Brazil, Russia, India, China, South Africa and Japan, negotiate its structure with the Western powers. Atul Bhardwaj (atul.beret@gmail.com) is Senior Fellow, ICSSR, at the Institute of Chinese Studies, Delhi. The sudden appearance of four chapattis in collector Hopkin’s dispatch box in end-February 1857 marks the beginning of the 1973 Booker Prize winner J G Farrell’s, The Siege of Krishnapur. The chapattis signal a rebellion by the sepoys in the fictional Indian town. The scene is inspired by the surreptitious transmission of chapattis and the epidemic spread of the phenomenon that preceded the 1857 sepoy rebellion against the East India Company. In 1894, the “colonial information panic” was once again triggered when rows of mango trees were found smeared by mud plaster mixed with tufts of hair (Wagner 2013). 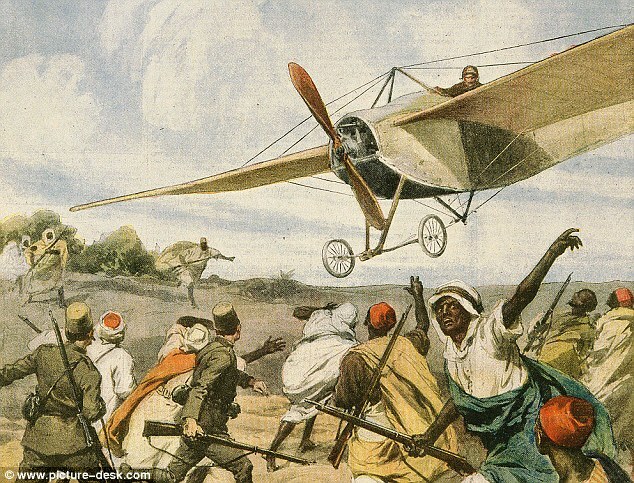 The indigenous communication mode was used to spread the message “throughout Behar and the provinces to the East and West,” and the British were almost convinced that this was a signal for another uprising. The “mutiny-motifs” of the 20th century were as effective in mobilising people as are the videos and texts transmitted through social media networks in the 21st century. Facebook, Twitter and others are not the ultimate facilitators of “Tahrir Square” type protests or the mob that brutally lynched an ordinary Muslim in Dadri District of Uttar Pradesh for allegedly eating beef. Neither mobilisation nor messaging is an invention of mobile technology. In the past year, the United States has learned about unprecedented digital data breaches ranging from the confidential files of Sony Pictures, to the security clearance records of the Office of Personnel Management, to the private AOL account of CIA Director John Brennan. There is far more going on here than a loss of web-based information, legal liability, and deficient software. These attacks are part of an emerging pattern of cyber activity that should serve as a major national security wake-up call for U.S. officials. A first reason for concern is the breadth and systemic nature of the problem. Indeed, of all the entropic forces eroding world order, from Russia’s annexation of Crimea to China’s salami slicing in the South China Sea, the most misunderstood yet troubling are in cyberspace. Here in the virtual networks of the digital age, rule makers are falling behind rule breakers. Earlier this month, the Intercept released “The Drone Papers,” a series of reports that provide details on the U.S. drone program in Somalia and Yemen. The papers highlight a number of aspects regarding the United States’ use of armed drones in counterterrorism operations, including insights on the administration’s “kill lists,” the chain of command for targeting decisions and various shortfalls in intelligence. The documents represent the most substantial revelations about the U.S. drone program despite President Obama’s stated commitment to greater transparency about U.S. drone policy. In the short term, the Drone Papers renew questions about many of the administration’s claims surrounding the lethal drone program and may help reignite calls for greater transparency and increased oversight. But it is unlikely that the documents will result in any considerable changes in the ways in which U.S. drone operations are conducted or the extent to which U.S. policy on drones is disclosed. This reality is particularly likely for two key reasons: general public support for the drone program and lack of Congressional and administrative action towards greater transparency and accountability. “History does not repeat itself, but it does rhyme,” Mark Twain is reported to have said. Two years ago, also at War on the Rocks, Elbridge Colby responded forcefully to an op-ed calling for the elimination of the Air Force’s nuclear-armed Long Range Standoff (LRSO) missile that is to replace the existing nuclear-equipped cruise missile, the AGM-86 (also known as an air-launched cruise missile or ALCM). Today, it appears we need yet another defense of the LRSO, a program vital to U.S. national security and deterrence posture. In a recent op-ed in the Washington Post, former Defense Secretary William Perry and former defense acquisition official Andrew Weber called on President Obama to defund the LRSO, reiterating many of the talking points of two years ago. The strategic environment has only worsened since then, making the need for LRSO even more acute. Perry and Weber believe that stealth bombers with direct-attack nuclear munitions are sufficient for the bomber leg of the nuclear triad, and that stealth bombers negate the need for cruise missiles. They make an unsupported claim that developing a nuclear cruise missile is not affordable in today’s budget environment. Finally, echoing previous arguments, the two make the statement that dual-capable cruise missiles are inherently destabilizing. History does not support this claim. IS U.S. INTELLIGENCE ANALYSIS AS GOOD AS IT GETS? One of the more charming and frustrating aspects of American life is the endless pursuit of perfection. We tend to believe, as a people, that things can always be improved. For many aspects of life ­— science, medicine, transportation safety, etc. — this is a worthwhile approach. But for other aspects of life this pursuit is really a chimera; an illusory, unattainable goal. Indeed, pursuing such improvements may be even more costly than not pursuing them at all. One of those areas where we should perhaps step back from the endless quest for perfection is intelligence analysis. Note that we said “perhaps.” We believe the issue is open to debate and is a debate worth having. Since 2001, the intelligence community has been pilloried repeatedly for its “failed analysis.” Critics point to the 9/11 attacks, the absence of weapons of mass destruction in Iraq, and the unpredicted Arab Spring. We do not deny that these were analytic failures, but we also believe that it is important to look at the larger record of intelligence analysis and ask some fundamental questions: Is this as good as intelligence analysis gets? And, if so, is it good enough? Why Do Top Government Personnel Keep Using Private Email for Official Business? As government breaches continue, it's hard to argue that 'security' alone is a good enough reason to keep official communication on official servers. This was among the head-scratchers to emerge from the news this week that teenage hackers had gained access toCIA director John Brennan’s unfashionable email account, yielding more than 2,500 email and instant message addresses for high-ranking government officials. But the more important question is why the boundaries between personal and work email accounts appear to be so porous in the upper echelons of the government. There are plenty of reasons to care when government officials use their personal email accounts for work-related activities, particularly when it comes to transparency and accountability. Journalists may not be able to gain access to emails sent from personal accounts under the Freedom of Information Act, and communications meant to be public record can stay under wraps. This has been one of the main criticisms lobbed at Hillary Clinton for using a private server for much of her work-related email during her Secretary of State. As can be inferred by the organization’s name, the Defense Information Systems Agency is in the business of defending IT security. But that job has taken on new meaning, especially in the recent months after a reorganization and a major push to regionalize cybersecurity. DISA’s biggest cybersecurity push at the moment is the Defense Department’s Joint Regional Security Stacks, a security and network visibility program being rolled out from the first site at Joint Base San Antonio to military bases worldwide. DISA’s work, however, goes far beyond the broad reaches of JRSS — and much of it centers on the DoD Information Network, or DODIN. Earlier this year the Pentagon stood up Joint Force Headquarters-DODIN, which is commanded by DISA’s dual-hatted director, LTG Alan Lynn. JFHQ-DODIN’s leadership and location — at Fort Meade, Maryland, alongside the headquarters of DISA, the National Security Agency and U.S. Cyber Command — is no accident. The Defense Department's primary IT organization is partnering with its advanced research arm in a partnership aimed at accelerating military technology into the future. The Defense Information Systems Agency and the Defense Advanced Research Projects Agency recently agreed to a partnership that would fast-track deployment-ready cyber technologies from DARPA to troops and other DISA users. The memorandum of understanding focuses on cybersecurity and DARPA's information innovation office, or I2O, according to DISA CTO Dave Mihelcic. "We've had an off-again, on-again relationship with DARPA over the past 20 years or so. And it's very much on again, and in particular we're looking at how to leverage cybersecurity from DARPA's programs," particularly I2O, Mihelcic said. "What we're trying to do is assess their programs for mature pieces of technology that we can adopt into DISA programs as well as provide them with requirements to drive them in directions in the future." For over a year now, the US armed forces have been fighting The Monster. AKA ISIS, AKA DAESH, AKA one of the most ferocious band of cut-throats the world has ever seen. Joining President Assad’s Army, who is the only one with the necessary guts, as of this writing Turkish, Russian, and French forces have all entered the fray. So, in less direct ways, have some 60 other countries. As the growing list of belligerents indicates, without too much success. Fearing casualties, officially at any rate none of the abovementioned interventionist forces have deployed boots on the ground. They prefer to rely on air strikes instead. Manned or unmanned, such is the cost-benefit relationship that airborne devices have difficulty coping with a widely dispersed enemy. In plain words: one cannot send an F-16 or a Predator after every terrorist, real or, much less, suspected.